There is another potential suitor in the race to land Jimmy Butler. The Cavaliers have emerged as a possible team to try and trade for Butler, ESPN reported, citing unidentified league sources. According to the report, Cavaliers owner Dan Gilbert was seen talking privately with Timberwolves owner Glen Taylor Friday at an NBA Board of Governors meeting. Both men were instrumental in negotiating the Kevin Love-Andrew Wiggins trade. Butler has expressed his unhappiness with the Timberwolves, and Taylor doesn’t want a circus surrounding Butler heading into training camp. According to earlier reports, Taylor wants a Butler trade done before practices start Tuesday. 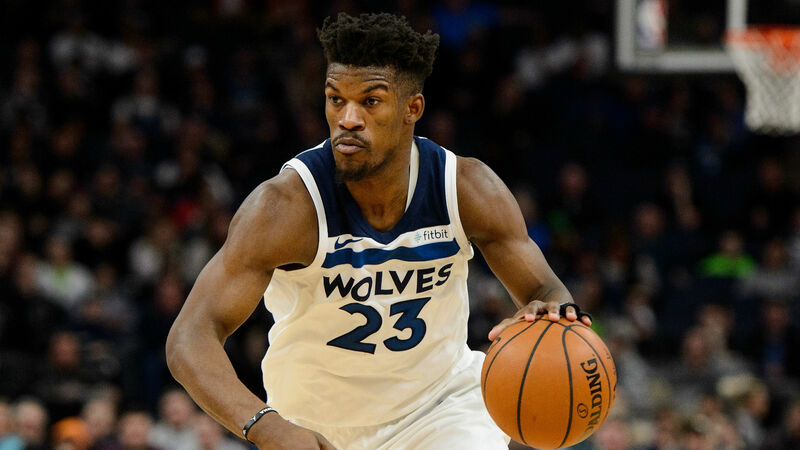 Butler will be a free agent after this season and he has reportedly told coach Tom Thibodeau that he will not be re-signing with the team if he’s kept. Some of the discord within the team is between Butler, Wiggins and Karl-Anthony Towns. Other teams interested in signing Butler are the Pistons, Nets, Clippers, Rockets, Heat, Sixers, Trail Blazers and Kings.